Mr Bowyer has been providing medico-legal reports for more than 10 years. He is registered with the Association of Personal Injury Lawyers, the UK Register of Expert Witnesses and is a member of the Society of Expert Witnesses. He has undertaken training courses in medico-legal report writing and presentation. Mr Bowyer provides Personal Injury reports for claimant’s solicitors in about 60% of cases, as a Single Joint Expert in about 35% and for the defence solicitors in about 5% of cases. 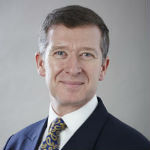 Mr Bowyer also undertakes Medical Negligence work as an expert for both claimant and defence, and is used as an expert in pre-litigation cases by a number of local NHS Trusts. A guide for clients attending for a medico-legal examination is available here and is sent to each client along with the letter detailing the appointment time and date. Copyright © G W Bowyer Ltd - All Rights Reserved.